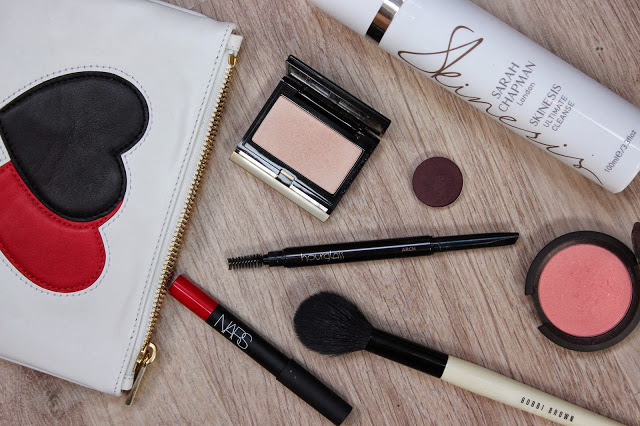 I love this cute, little leather makeup bag from NARS that came with an eyeshadow crayon and a lipgloss. It’s small enough to carry around in your bag and the heart print is so unique and pretty! I’ve always heard so much about this powder highlighter but have only recently got my hands on it. The shade is ‘candlelight’ and it literally looks like your cheeks are lit by candlelight. I add a small amount to my cheekbones and it looks beautiful, especially for a Christmas makeup look. This is the only blush I’ve used for the past few weeks. I’ve been wearing a lot of smokey eyes and bold lips, so this blusher is the perfect companion as it’s a soft, natural pink. BECCA do ‘natural’ very well, so this has been an everyday staple for me. I mentioned this brush in my last haul video and I am so happy I bought it. It’s the perfect size for blusher and I never apply too much with it. It’s soft and is also a good size for throwing in a makeup bag. With all the Christmas/birthday/engagement parties I’ve been attending recently I’ve needed a long-lasting lipstick to rely on. Every single time it’s been Dragon Girl and every single time I have had so many compliments. These have a 4 hour lasting power on me before only the inside of the lips start to fade. They are incredibly matte and so easy to apply. Dragon Girl is a pink toned red, so it’s perfect for parties! Sketch has been on my list for years but I finally picked it up a couple of weeks ago. It looks quite purple and shimmery in the pan but when applied it’s like a deep plum. It’s basically the perfect shadow for a smokey eye as it’s the sort of deep shade that will go with any colour to help darken the overall look. I’ve never filled in my brows or done anything to them apart from threading and using clear brow gel. I haven’t been as happy with the overall look of them recently though and when you watch yourself in videos all the time you start to notice little annoying things. For the past two weeks I’ve been using this pencil just to fill in the very beginning of my brows and it’s made all the difference to the overall look. I like this pencil because it has a spoolie on one end and a natural type of brown pencil on the other. It’s also weighted really nicely which makes it easier to use. So those are my current luxury favourites. I’ll be back tomorrow to carry on the theme from yesterday’s post with some of the other requested posts from Facebook.